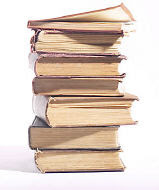 Randall's ESL Blog - For ESL/EFL Teachers and Students: Your Favorite Book: Why did you like it? dear randall, im a teacher in Malaysia. Im doing a research on how other teachers from other parts of the world carry out their lesson. if u dont mind, can u share some of your experience on how your teach your students?What approaches u use ? what type of students you have and hoe do u use technology in ur class. Its my pleasure if you can share.. This is a favorite topic about our life and mind.I like the type book because I am fond of some cute anmimals and I could learn good characters from the novels and keep myself active and love our family life. My favorite books is The Old Man and The Sea by Hemingway. It was the first book in English I understood with ease. The author uses simple sentences and many adjectives. I believe the use of so many adjectives in this novel create clear images of what the characters say and do. My favorite book are "Doremon" series. There are stories which tell us about a lovely machine cat. He has a friend who called Nobita. Nobita is a lubberly boy. He always make so much complicated things so Doremon has to help him. Nobita and Doremon are closefriend, they always dispute with each other,but they love each orther so much. The story show us about friendship, childish naivety,.. and the story also tell us how to confront many difficulties in life. In fact, there are so many stories which are better than this story, but moreover i still like it the most because it's funny story. I'm a student majoring english education so I'm a little bit nervous about how I use English well. Recently I found this site, and I'm getting a lot of help. (Thank you, Randalls!! )Anyway, I like some sort of fantasy books such as Harry Porter, The Lord of the ring, etc. I'm also now a days reading some book "The chicken soup for the soul". That's very moving novel I think. I am very interested in phsycological books.I enjoy gussing the personality of peolpe and try to solve their personal problem but not as a counselor. My favorite book is "How to win friends and influence people" written by Carnegie Dale. This books teaches me how to get along well with my family and friends, even those who I meet for the first time. I am studying business, so I have to learn soft skills. This book gives me a lot of these. It offers ways to get good initial contact from your partner. It teaches you how to talk politely and how to make people do what you want. I keep this book on my bookcase and read it whenever I like. My favourite book is Winnie the Pooh. It is by a man called A.A. Milne. I like the book because it is about a teddy bear. I love teddy bears. The bear in the book is called Winnie the Pooh. It belongs to a litte boy named Christopher Robin. The bear is often just called Pooh. I also like the book because it makes me laugh. i'm Thanh and i come from Vietnam. It's really interesting to find a useful ESL site like yours, where I can find conversations on various topic in my everyday life. I'm now studying medicine so reading book is an essential part of my study. From my experience, a good book is one that is short and contain valuable information cos I don't like to waste my time perusing long long book. My favorite type is science fiction and love novel. Yeah, yeah... Reading a book is a very good thing we have to do when we want to relax. And it's good not just for fun, but also for our goodness. Good stories contained into the book teach us good things such as: honesty, kindness, being friends of our friends and of our enemies (they teach us how to be smarter)... By the way, the villains into the story teach us how to be good and smart. I like all kinds of books.But my favorite kind is comic.Beacuse comic book is word less and vary attractive,make me like to see the book. Well the kind of books that I enjoy to read are horror novels because you can create a better story in your mind than the horrors movies they are so predictable. So I like to read Edgar Allan Poe and his horror stories like the crow it's a good story. Hi. A some yars ago I read the book "Ensaio sobre a Cegueira". Until today, this is the best for me. The words used made me to travel and fell many things like Disgust, shame, anxiety. Made me understand too some aspects of human manner. My favorite books are too many, not just one book. Spiritual awaking, education essay, parenting, self-help, social issue, philosophy...everything that I think it can teach me something, I would love. Doraemon is a Japanese anime series. I love it very much. Sometimes I watch it on TV (in Taiwan)even I am an adult now!! My favorite book is "Science Book"I always love to read science textbooks especially science experiments..Apart from science book I love to read novels (Chetan Bhagat) because his novels are very interesting with easy English... and I understood with ease..
What about my favorite book, i think that it is the whitcher written by Anjei Sapkovsky. It is the fantasy stosy, that touch so many themes, including the family, friendship, love, politics, racial minorities etc. If you think about any problem of our world - be sure, that this poblem was disscused in the witcher. I am graduating now, so it is very difficult to read books, I do not have a free time to do it.However, I can practice my reading skills while I am studying for a test, because I have learned with some books, but they are not books that contain stories or something like that, they just have informations about the subjects that I am learning. My favorite book is "The World is Flat" by Thomas L.Friedman. That book teaches me that the world will are living right now is changing every single day, and the modern technologies right now will take people's job forever so we had better keep learning something new everyday to follow it's way.